To the Europeans who first visited Yelamu territory, the landscape did not seem managed, and yet its products provided the currency in the first recorded exchange of gifts between the Spanish visitors and the Yelamu. On a March day in 1776 two Yelamu men visited the Spanish camp at the Presidio's Mountain Lake and brought firewood, probably harvested from live oaks (Bolton 1931). A few days later, when Juan Agustín Bautista de Anza selected a site for the future presidio or fort, he chose an open mesa with dramatic views in all directions. A few months after Anza departed, two Franciscan priests arrived in San Francisco to establish a mission and presidio. They traveled with a group of fourteen soldiers, seven settlers, an unknown number of women and children, and thirteen young Indian servants, including a California Indian from Monterey who spoke a language similar to the local people (Milliken 1995). Traditional narratives of the Presidio glide over the cultural complexity of this moment of contact between peoples. According to the standard narrative, the sprawling Spanish empire engulfed all in its path, transforming the land and eliminating its native peoples forever; there is little evidence of indigenous people but graves, place names, and a few survivors. Recent scholarship, in contrast, has emphasized the complexity of this period; a time of little choice for the indigenous people. The Spanish were actually in the minority, accompanied by mestizo and criollo (people of Spanish heritage born in Mexico) soldiers and settlers and indigenous Americans from other parts of Alta and Baja California. Even the pottery they brought with them displayed evidence of two centuries of cultural evolution in the Americas (Department of the Army et al. 1996). In the last visits which they made in early December they began to disgrace themselves, now by thefts, now by firing an arrow close to the corporal of the guard, and again by trying to kiss the wife of a soldier, as well as by threatening to fire an arrow at the neophyte from the mission of Carmelo who was at this mission. A few days later Spanish soldiers sought out and killed one of the Yelamu men who had threatened to fire an arrow (Milliken 1995). Within just six months the visitors had demonstrated their superior firepower, and that they would use it in ways quite out of proportion to the original perceived offense. 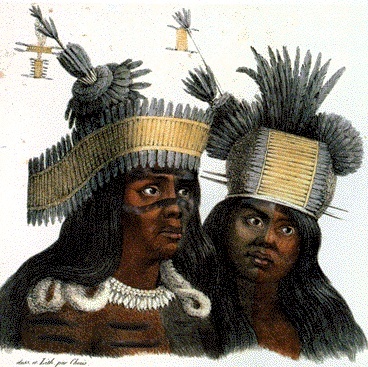 To Yelamu youth, the material goods and military prowess of the Spanish must have been exciting and worthy of close study. Curious young men were among the first to embrace some aspects of Spanish culture and religion. Almost exactly a year after the Franciscan fathers arrived, they baptized three young men who may not have realized all the implications of Christian baptism. Twenty-year-old Chamis was the first baptized; like the other two, his father had died years before. Ten months later Chamis married the fourteen-year-old Paszm in the first Christian marriage ritual to take place in the Bay Area (Milliken 1995). Why are these details important? After years of reading about the arrival of the Spanish in the Bay Area, I had become familiar with Palu, Font, and other Spanish chroniclers of this period. In Randall Milliken's recent work, though, the Yelamu and other California Indians finally had names and lives of their own--fathers, mothers, birthplaces, tribal affinities, weddings, births, and deaths. His careful excavation of such details from mission baptismal records and other sources has provided essential information and context for understanding this time of initial contact between cultures and the tremendous social upheaval that followed (Milliken 1995). They will have to rely for their food on the herbs and acorns they pick in the woods--just as they used to do before we came. This source of food supply, we might add, is now scarcer than it used to be, owing to the cattle; and many a time the pagans living in the direction of the pueblo have complained to us about it. (Milliken 1995). The complex interaction between nature and culture that had shaped the northern San Francisco landscape for at least a thousand years--and probably much longer--had been completely transformed in less than a decade. Intricate interactions between native peoples and native plant communities were disrupted. To the Yelamu, the landscape of the northern edge of the San Francisco peninsula was a storehouse of natural products; to the Spanish and later occupants, the Presidio's landscape was a barren, harsh place. The view of the Bay is fine from the high hills, remarked one visitor during the mid-19th century, but every thing looks dirty and sandy; you cannot [avoid] the impression that it is a mean country (Thompson n.d.). Excerpted from Holloran, Peter. 1998. "Seeing the Trees Through the Forest: Oaks and History at the Presidio." In Reclaiming San Francisco: History, Politics, Culture (ed. James Brook, Chris Carlsson, and Nancy J. Peters). San Francisco: City Lights Books.